The Orgchart is a diagram which graphically shows the structure of an organization and relationships between its parts. ConceptDraw DIAGRAM diagramming and vector drawing software extended with Organizational Charts Solution from the Management Area is the best for drawing professional looking orgchart. 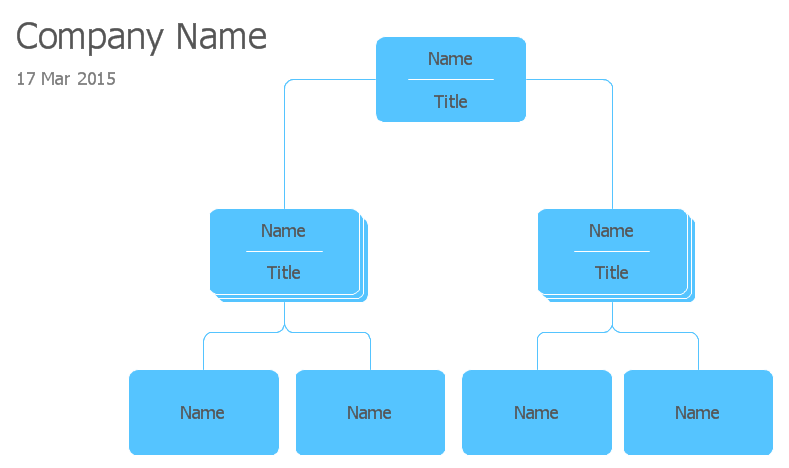 Use also the predesigned vector shapes from the Organizational Chart library no matter which way you choose for drawing your orgchart - in new document or on the base of ready template. 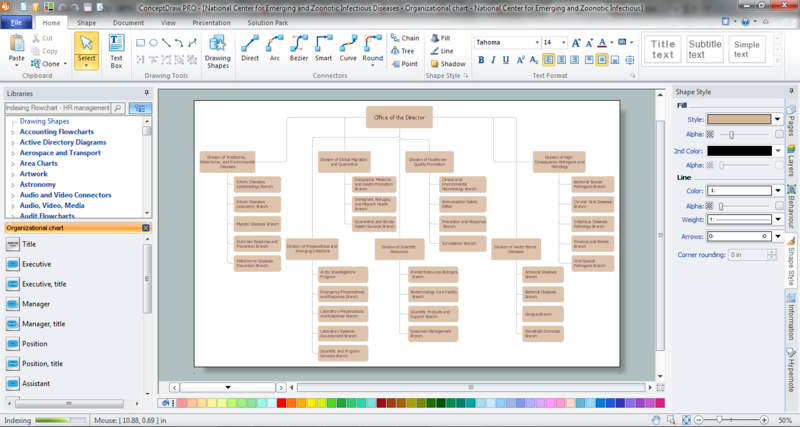 This Organizational Chart Template was created in ConceptDraw DIAGRAM software using the Organizational Charts solution from the Management area and was included in it. You can open this template from ConceptDraw STORE. 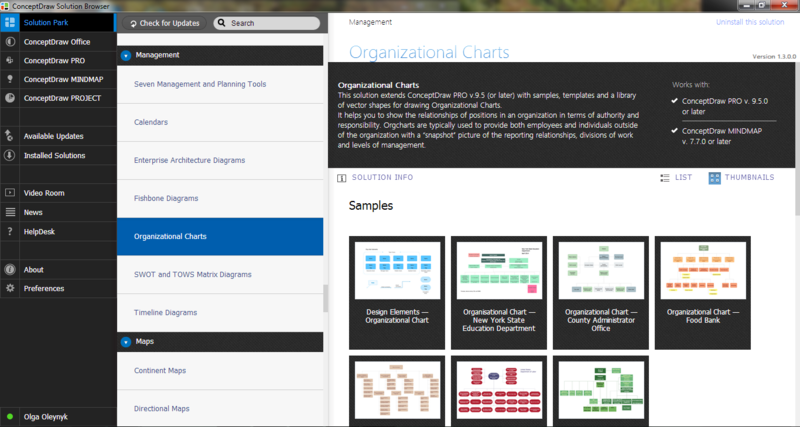 Use the Organizational Charts solution for ConceptDraw DIAGRAM software to draw your own orgchart of any complexity quick, easy and effective.